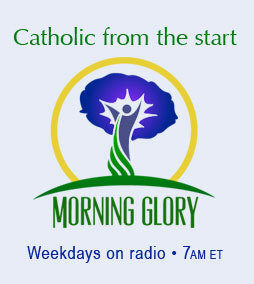 SEPTEMBER 15, 2015 — Patrick Novecosky, editor of this blog and Editor-in-Chief of Legatus magazine, was a guest on EWTN Radio’s Morning Glory program, broadcast live around the world from EWTN studios in Washington, D.C., this morning. 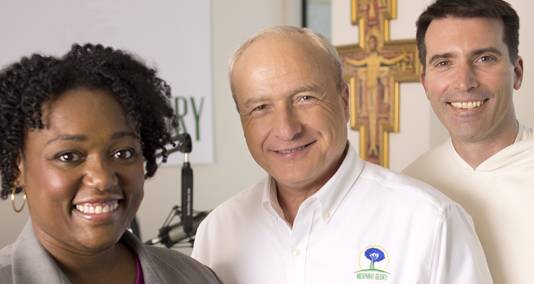 Novecosky spoke to Morning Glory host Brian Patrick and his team of co-hosts Gloria Purvis, Fr. John Barry, and producer Alyssa Murphy. They asked him about Legatus and its founder, Tom Monaghan, before moving on to talk about the importance of faith-filled business leaders for our highly secularized culture. CLICK to listen to the entire interview (9 minutes 18 seconds). EDITOR’S NOTE: One clarification: Tom Monaghan actually plays a B-flat alto horn, a close relative to the French horn.